Historically prison buildings have largely been designed for the majority male prisoner population. However, the growing understanding that women who offend are different from men − from their typical backgrounds and the nature of their offences, to their experience of abuse and their care-taking responsibilities is also leading architects and planners to consider how prison facilities might also be designed in a gender-sensitive manner. Women tend to be relationship driven and prefer to interact in small groups, for example, so how can the lay-out of accommodation and communal areas help to foster positive relationships with staff and other prisoners? How can bathrooms be designed so that they maximise women’s privacy and dignity but do not compromise security? How can facilities for mothers and children be designed to be as close as possible to a non-prison environment? 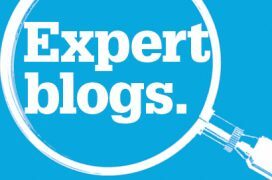 In this expert guest blog, Laura Maiello, Senior Vice President of Justice Planning for CGL Companies (USA) and Stephen Carter, founder, Executive Vice President and Co-Director of planning and design at CGL Companies, outline these and other considerations that those responsible for the design and management of women’s facilities should take into account. Anyone who has lived in, worked for, or studied prisons knows the toll that correctional institutions take on their inhabitants. 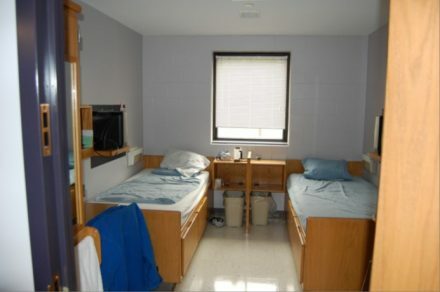 Advances in correctional facility design have provided a more normative setting (vs a harsh, institutional environment) by introducing daylight, soothing colors, and replacing cell bars with doors. Concepts like direct supervision management have demonstrated the importance of interpersonal communication between officer and inmate, providing a safer and calmer housing unit environment. The introduction of meaningful programming has reduced both prisoner idleness and recidivism. 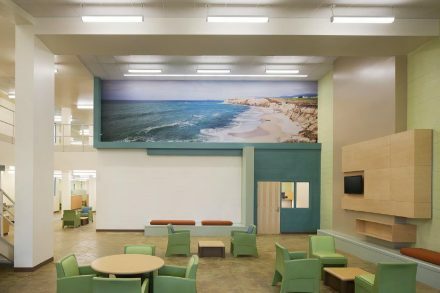 Through our extensive involvement in the planning and design of correctional facilities, we’ve witnessed how these advancements have improved conditions for many inmates in the US and abroad. Still, there is still work to be done with regard to one segment of the target population: Female Offenders. Female offenders are distinguished from their male counterparts in ways that influence their involvement in the criminal justice system and that should impact our decisions about their incarceration. For one, women’s offenses are generally less serious than men’s – primarily drug and property crimes, as opposed to violent offenses against the person. Female offenders are also less likely to have a prior offense history and they generally recidivate less often than their male counterparts. These factors alone suggest that community-based sanctions are an appropriate first choice for many female offenders. The risk factors associated with criminal offending are different for females. Women in correctional institutions are far more likely to have been victims of neglect, sexual abuse, and violence. Such trauma histories are often linked to the substance abuse, chronic mental health conditions, and relationship difficulties that underlie criminal pathways for women. In fact, female offenders report a significantly greater incidence of mental health problems and higher rates of drug use than do males. Female offenders are more likely than men to have chronic medical problems and they present specific health issues, ranging from eating disorders to pregnancy. The vast majority of women prisoners are single mothers with children under 18 years old. Separation anxiety, coupled with concerns about their wellbeing, can raise already high stress levels of incarcerated mothers who are sole caretakers, particularly when the facility is far from home. The trauma histories that accompany women to prison affect their perceptions of (typically male) authority, and inhibit their ability to navigate a seemingly threatening and authoritarian environment. For women with trauma histories, the controlling prison atmosphere can trigger a traumatic memory, and elicit a reaction that can be perceived by staff as uncooperative or disruptive. At the high end of the spectrum, the risk of suicide or self-harm – always elevated in jail and prison facilities, is a more pressing concern for women offenders with chronic or potentially undiagnosed mental health issues. This, coupled with some evidence that incarcerated women exhibit a high degree of risky behavior, requires an acute awareness that self-harm and suicidal behavior is present. Suicide resistant furnishings and fixtures are important, particularly in areas without constant direct supervision, such as bedrooms. Most female offenders pose a low security risk, but their trauma histories present high service needs – medical, psychological, social, and environmental. These realities suggest a different kind of correctional facility for women. However, because females represent a small percentage of the incarcerated population, the vast majority of prisons are designed for men (and by men). The result is often a scaled down version of the traditional male prison institution – “minus the urinals and painted pink.” The more recent research on female offenders has resulted in more deliberate and purpose-driven design and construction choices for women’s prisons. For those involved in the planning, design and operation of female institutions, the following should be considered. The complex needs of female offenders make transition and reentry especially challenging for women. Ideally, women’s prisons should be located in close proximity to community service providers so that positive linkages with family and formal support systems can be initiated or maintained during incarceration, with continuity upon release. The typically remote location of women’s prisons puts an added psychological burden on incarcerated mothers and an added practical burden on families without the means to travel long distances to visit. Women are relationship-driven. The facility design should provide opportunities for fostering positive relationships that support emotional healing and positive self-esteem – important for all but critical for prisoners with trauma histories. Women’s prisons are generally smaller than men’s, but larger institutions should be configured to provide a more intimate scale. This can be achieved by developing smaller housing unit “clusters” within the building or by developing a campus setting with housing unit cottages that operate on a smaller scale. 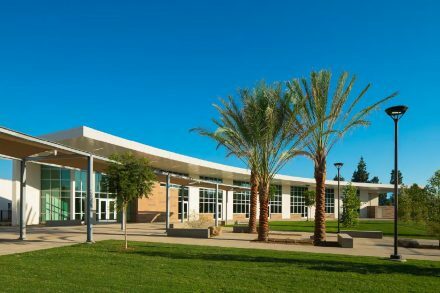 For example, the new San Diego County Las Colinas Detention and Reentry Facility – a 1,612-bed women’s facility, presents as a learning, and not penal, environment despite its size. Taking into account the biological, emotional, and physical characteristics of women, and the sensitivities to the developing neighborhood of Santee, the facility is designed as a 45-acre campus. Within a decorative walled facility, most women move freely across the campus from six different housing types to educational, medical, dining, vocational, and work centers that are organized much like a community college. Inside all but the highest security level housing units, normative settings define the living areas that are based on non-penal furnishings and an abundance of natural light. When large, foreboding facilities are replaced with a more appropriate scale and normative design (like the San Diego facility), the buildings fit well within their physical environment. Because women are not prone to escape, there is less of a need for high security fencing topped with ominous razor wire. 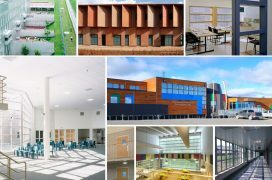 In some instances, the building itself can provide the secure perimeter, making the prison a “good neighbor” within its community, often mistaken for a school, or a college campus. Admission to a jail or prison facility is most stressful, particularly for females with trauma histories where experiences with authority figures have been damaging. The spaces associated with receiving new admissions should be purposefully designed to mitigate anxiety and ensure personal dignity. This can be achieved by providing open seated waiting vs holding cells; interview rooms that ensure privacy when sensitive information is being conveyed; and more normative interior treatment. It can also be achieved operationally. In an attempt to reduce stress, some women’s prisons in England begin the admissions process by offering the woman a cup of tea. A simple act that occurs every day is repeated during the admissions process resulting in a much less stressful setting. Typical processing functions – search, strip, shower – can be especially threatening to females with trauma histories. The design of search areas must balance visual privacy and security considerations without provoking a sense of feeling trapped or victimized. The elimination of strip searches and/or the option of showering once settled on the housing unit rather than at intake, are operational responses to consider. Wherever these are located, showers and changing areas must be out of direct view of other inmates and shielded in a manner that provides privacy without compromising necessary supervision. A partial screen that reveals head and feet can accomplish this when positioned correctly. Because relationships are important to women, they interact better in smaller groups. While smaller housing units are preferable, the scale of larger housing units can be mitigated. Mezzanine style (two-leveled) units should be avoided, and the large central dayroom associated with podular configuration should be “broken down” into smaller groupings through design and/or organization of furniture. Smaller lounge areas or multi-purposes rooms can also be added to supplement the main dayroom. These give women an opportunity for studying, writing, small conversations, or just to “step away”. Some evidence suggests that women inmates benefit from frequent interactions with staff members – particularly female staff members. Direct supervision design places the officer directly in the housing unit, maximizing opportunities for positive interaction. The ability to interact with persons representing authority without barriers is the beginning of a state of trust, which is essential to good order – and to positive behavioral change for offenders. The housing unit should provide a normative environment. An abundance of natural light, color, sound attenuating materials, carpeting, upholstery, moveable furniture, wooden doors, texture, and even house plants are some of the physical characteristics of normative design. Typically, in a correctional facility, these elements of normalization actually cost less, are more valued, and are better protected by inmates than “traditional” correctional environments. Nature views to the outside and abundant daylight should be paramount design goals throughout the facility, as both have been shown to reduce stress and promote healing. The excellent work of Dr. Rich Wener provides an evidence basis for a tilt towards normalization in design and furnishings. 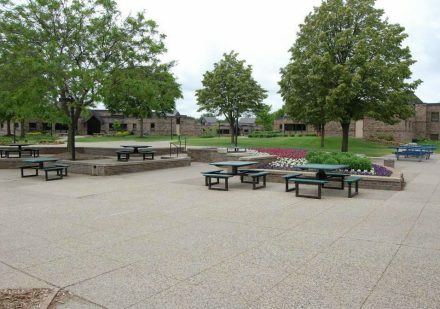 The outdoor area should be a calming and reflective space – more akin to a patio than the small recreation courtyard with the requisite basketball hoop found in male prisons. 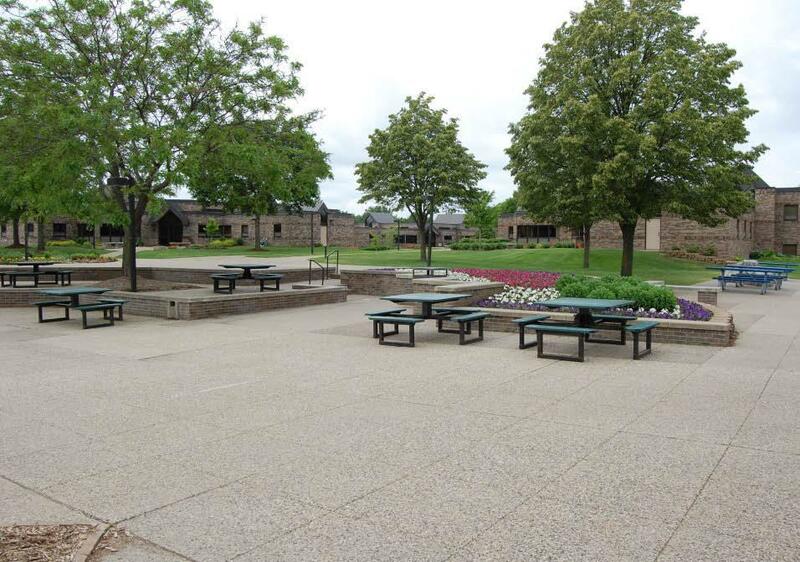 It’s adjacency to the housing unit encourages daily, unstructured outdoor time. Larger, centralized outdoor areas should have some greenery, and should be able to accommodate active and passive recreational activities and exercise. The majority of female prisoners are medium to minimum custody and do not require a maximum security environment. Most living units should have more of a domestic feel, replacing cells with bedrooms or dormitories. Bedrooms can be grouped into clusters, each with their own dedicated day space. If the bedrooms have toilets, a modesty screen, or better yet, a separate room for ablutions can be accomplished at an insignificant cost. Both Ireland and Canada have used this approach in the planning of youth facilities which is also appropriate for women. Common bathrooms and shower areas must also recognize the need for privacy for female bodily functions, without compromising security supervision. Support spaces associated with the housing unit need to be more plentiful in female prisons. In addition to the spaces mentioned above, these include areas for doing personal laundry, personal grooming and hair care, and limited food preparation for snacks and light meals. Some European women’s prisons include apartment-like accommodations for low level female offenders. Such amenities support a normative routine that is as close as possible to typical activity in the outside world; enhance self-esteem; and are foundational for independent living. It should be noted that the inclusion of such spaces adds square footage beyond that which is typically reflected in industry standards such as those promulgated by the American Correctional Association. As such, the size and design of female living units should be functionally driven, not limited to minimum square footage standards. Female prisons should consider allowing women who have just given birth to have their newborns with them for a period of time. 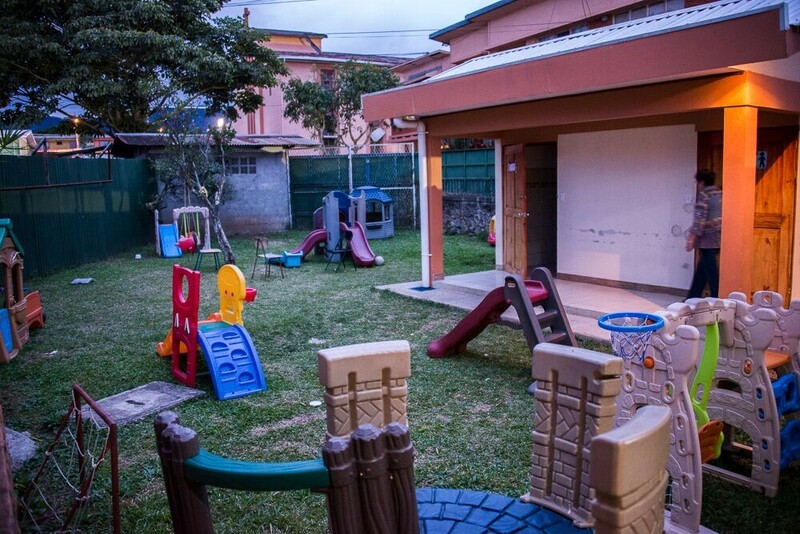 Purpose-built, dedicated nursery programs that are separate from other housing units ensure protection of the children and support an appropriate routine (e.g. breastfeeding, nap-time and play time). There is also some thinking that women’s prisons should allow for cohabitation of incarcerated mothers and their offspring beyond infancy. Recognizing the essential right of incarcerated women to maternity, the female facility in Costa Rica includes a dedicated “Casa Cuna” (cradle house), where a small group of mothers are allowed to live with their children until they turn three. Children older than one are taken to a nearby day care center daily, so that mothers can resume education and programming. Spain has created External Mother Units built within the community, to enable children under three years old to live with their incarcerated mothers in a non-prison environment. The units provide access to an outdoor playground, separate ‘apartments’ for each family, which include cooking, eating, sleeping, laundry and relaxation areas. Mothers take their children to school, doctors’ appointments and community activities. Educational and job training support is provided to the mothers. The planning of a low security women’s prison in Western Australia included three small mother and child units where children up to four years of age can be accommodated with their mothers. Intermediate-care accommodations ensure that the youngster is taken off site during the day, allowing the mother to participate in some educational or recreational activities off of the mother-child unit. On the other hand, spaces should also be provided for programs that allow children to participate. Regarding pregnant inmates, special consideration should be given to furnishings. Non-fixed seating is easier for pregnant women to negotiate, and bunk beds should be avoided. Because females require health services more than males, adequate and appropriate health delivery spaces are required in women’s prisons (including readily available OB-GYN and prenatal care), and they should be in convenient proximity to the living units. In line with trauma history manifestations, women’s prisons should provide treatment spaces (individual and group) for addressing substance abuse, eating disorders, mental health and other conditions, as well as more general behavioral counseling. The sensitive content of counseling sessions (victimization, abuse, shame) requires that interview spaces are visually and acoustically private from the residential living units. Women with trauma histories have low self-esteem, and they need to be recognized when they succeed. Positive self-images can be developed through spaces for women offenders to create, such as photo, art, or writing programs – and to display their work. Many incarcerated women have not had a positive experience with the traditional classroom setting because of low self-esteem and other factors. Rather than traditional classrooms, educational spaces should respond to a variety of learning activities, with movable furniture for group and individual learning, tutoring, and computer-supported lessons. Women offenders benefit from programs such as life skills, parenting, and independent living. These classes could be held in the dayroom or multi-purpose room at the housing unit level and/or in shared, centralized classroom spaces. Vocational programs are needed to teach marketable skills that are of an adequate pay scale and applicable in the community to which they are returning – empowering females to live independently rather than return to unhealthy environments/relationships. While it is true that incarcerated men are more likely to receive visitors than female prisoners, there are several considerations regarding visitation spaces for females. Some women have experienced years of family conflict, and so space for family therapy may be appropriate in the visitation area. Also, many incarcerated women have family members who are in some way threatening to them. Staff supervision of these visits (if allowed) is critical, with the spaces maximizing lines of sight for supervising staff. In some such instances, non-contact visitation may be appropriate, establishing a partition between the female and her visitor. For most visiting sessions, contact visitation is desired where there is no physical barrier between visiting parties. Several visits may occur simultaneously, and so the contact visitation room arrangement must provide clear lines of sight, good circulation, and some element of acoustical privacy. Many incarcerated females have children, so provisions need to be “child-friendly”. A children’s visitation room, with non-institutional and comfortable furnishings that allow for direct contact between mother and child is less threatening to visiting youngsters, and more fulfilling for the parent. Outdoor visiting spaces should also be considered. Technology can also be used to maintain the connection between incarcerated mother and child. One women’s prison in New York State provides opportunities for mothers to read a bedtime story to young children every evening, via Skype. Extended family visits recognize the importance of maintaining family ties during incarceration. In Delaware, small hotel-like rooms are provided adjacent to the visiting areas where qualifying women are afforded the opportunity to have overnight visits from family members. Throughout Latin America, and in most European countries, short term (conjugal) visitation spaces as well as extended family visitation provisions are commonplace in female prisons. Designing for women should not be an exercise of repeating what we see in Orange is the New Black. America has a limited number of good examples of women’s facilities that were designed around the concept of normalization. 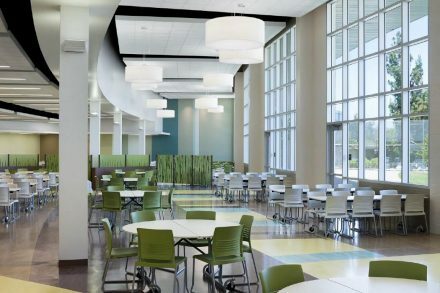 However, facilities like Shakopee in Minnesota have shown how attention to scale, natural light, color, acoustics, furnishings, and small private spaces can be integrated into a secure environment and behavior can change. In the next decade, the US is unfortunately likely to see more women incarcerated. While more alternative sanctions are being proposed, the percentage of incarcerated women is increasing. At the same time, evidence drawn from the US and abroad is suggesting that for female offenders, design solutions can and should be innovative, normative, and inspiring at a cost well below the cost of male prisons. A significant research effort was undertaken by Sarah Paddick, an architect in South Australia. Her Churchill Grant resulted in a study of mothers and babies programs throughout western countries and can be found here. Laura Maiello is a Senior Vice President of Justice Planning for CGL Companies. Her expertise in detention and corrections has assisted many jurisdictions by developing with the Client a philosophical mission, systems framework and operational context for facility planning and design. She brings a national best practices perspective to the translation of program into built form. A thought leader in the field, Laura has presented on detention and justice facility planning and design topics at venues such as the AIA Academy of Architecture for Justice, the National Council of Juvenile and Family Court Judges, the National Partnership for Juvenile Services (NPJS), the American Jail Association (AJA), the American Correctional Association (ACA), and the International Corrections and Prisons Association (ICPA). She is published in professional and trade journals. She is a member of the ACA, the National Partnership for Juvenile Services, and the National Council of Juvenile and Family Court Judges where she served as a member of the Juvenile and Family Law Advisory Committee. Laura earned a Bachelor of Social Work degree at Kean University of New Jersey and a Master’s Degree in Criminal Justice from Rutgers University. Stephen Carter is a founder, Executive Vice-President, and co-director of planning and design of CGL Companies. He received his Bachelor’s Degree in Architecture from Clemson University and his Master’s Degree in Urban Design and Planning from the Architectural Association, London, England. He has led planning projects in more than 40 states, 300 counties, and several foreign countries involving needs assessment, operational and architectural programming, design review, program management, and policy evaluation, among others. Mr Carter has served on the faculty of the College of Architecture and Planning at Clemson University and as a trainer at the National Academy of Corrections in Colorado. He has served as Chairman of the ACA Facility Design Committee and as Chairman of the ACA Exemplary Practices Council. He was a charter board member of the International Corrections and Prisons Association. Mr. Carter writes a regular column on trends in corrections for Correctional News and is a frequently contributor to the AIA Knowledge Communities periodicals. Really clear, well structured and immediately useful. Thank you. Great article. Very informative and interesting. Thanks Steve and Laura. I enjoy learning from you. This article has greatly increased my understanding on the needs of female offenders and the way prison facility should be designed to meet their needs in order for them to create positive relationship and make best use of the time while in prison. It was also has given me the understanding why governments should have good plans for the future to address the increasing number of women offending and the increasing demand to meet their needs while in prison if the primary goal of prison was to be achieved. Many thanks for this opportunity. THANK YOU! At last someone has put in print that Female Offenders are Different than Males. The entire article is very valuable and I pray that corrections people will read and heed it’s message. Thank you! At last someone has printed a definitive article that states Female Offenders are Different than males. The entire article was valuable and I pray that Corrections people will read and heed the message. Laura is a Senior Vice President of CGL Companies, a pre-eminent criminal justice planning and design firm based in New York, USA. This blog was co-authored by Stephen Carter, founder, Executive Vice President and Co-Director of planning and design at CGL Companies.